These days it is possible to discover a wealth of information about our families. While many genealogists are content to produce family trees, your ancestors only really come to life when their stories are written down. A narrative family history provides a compelling story to share with family and friends, and ensures that your valuable work will be preserved for future generations. At Writing the Past we apply our editorial and creative design skills to produce engaging family histories, which we call Family Storybooks. These draw on our years of experience writing and editing high-quality books and magazines for publication, as well as our professional experience in family and local history. A Family Storybook is a beautiful, full-colour family history album, professionally presented in a hardback cover. It is the ideal way to hand on your research to your family, or give as a distinctive gift for a birthday, anniversary or other family occasion. Every Family Has A Story: why not use a Family Storybook to tell yours? Preserve precious memories and photographs for posterity. Make sense of the wealth of information and resources amassed through your family history research. Write-up your own life story for your children and grandchildren. Makes a unique gift for a special occasion, such as a birthday, christening or wedding present. Our Family Storybooks are supplied to customers across the UK and overseas. What Will My Book Contain? 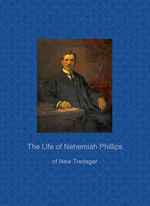 A Family Storybook can range from a basic narrative covering the whole or part of a family line, to a more focused biography documenting the life and achievements of a notable ancestor. You can either prepare the text yourself or we can write it for you, perhaps based on your existing draft or research notes. Don't worry if your ancestors appear not to have done anything especially interesting. Obviously, the richer the source material the better but in the hands of a skilled editor even basic findings from censuses, certificates and parish registers can be woven into a revealing story. It is sure to read better than the dry chronologies produced by some family history programs! Where possible, we supplement your own material with additional research (e.g. 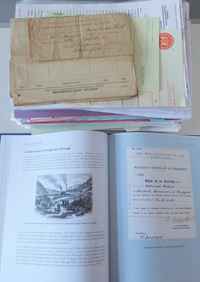 on your ancestors' occupations and the areas where they lived), as well as maps and photographs (where copyright is available). You can preview a sample Family Storybook here. Some of the most relevant images for your book are likely to be your own family photographs & documents. You can send these to us, either as hardcopies (we recommend using a registered delivery service) or as digital scans (we can provide a technical specification). We will digitise these pictures and documents, and even enhance/repair the digital scans, if necessary. Your Family Storybook will include one or more outline family trees to help the reader in following the story (it is difficult to present a fully detailed tree in book form). We will also include an explanation of the origins of the surname in question, based on recognised sources (rather than the quack interpretations found on some websites) together with a map showing the distribution of that surname within the UK. How Long Will My Book Take? As each book is unique, the production time can vary depending on a variety of factors such as: whether the book is being produced as a 'stand alone' or alongside further genealogical research (by us or others); whether you already have a draft text or want us to write it; and how many images are included and what condition they are in. You also need to factor in time to check and approve our draft and for us to make any corrections and modifications that are required. Bearing all this in mind, as a general rule you should allow a minimum of 4-6 weeks for your book to be produced. If you are ordering for a special occasion, such as a christening or wedding present, then please tell us so we can schedule your project accordingly. 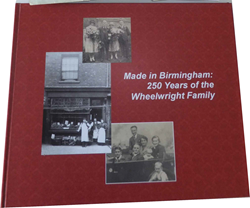 If you would like us just to write-up your family history, rather than put it into book form, we can do that as well. Please contact us for a quotation. Similarly, we are available for general historical writing projects, such as researching and writing up the history of a business, church or society. 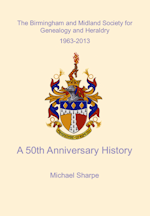 See, for example, our history of the Birmingham & Midland Society for Genealogy and Heraldry.